As Fiji made their OFC U–19 Women’s Championship debut on Tuesday, captain Luisa Tamanitoakula was front and centre for the action. Tamanitoakula was the backbone of the Fiji team and her scoring talent and collaborative approach was critical to the team success. She scored two goals in their opening game against Tonga and was very much involved in both their defence and attacking place for her team. Tamanitoakula admitted being a leader of the Fiji national team comes with accountability but she was happy to take on her new role. She is confident that the bond in the team will continue to bring about favourable result. ‘’It’s a big responsibility to lead the Fiji national team but in everything we make teamwork a major part and that works for us,’’ Tamanitoakula said. Fiji head coach, Saroj Kumar was full of praise for his captain. .
‘’It was good to see her leading by example and scoring goals. She’s been scoring goals for her club, Ba, so it’s good she’s now doing it on this stage too,’’ says Kumar. ‘’Tamanitoakula speaks with confidence, she controls the girls and she also comes to us for anything. She is really an open-minded person who tries to include everyone in the team and brings everyone together and that’s wonderful, ‘’ he added. The Tonga team all throughout the match were a real physical challenge for the Fijians but with Tamanitoakula’s leadership she kept her team on task. ‘’I enjoyed playing against Tonga but they were tough! There were some big girls and it was a bit difficult, but we managed them through teamwork, ‘’ she added. 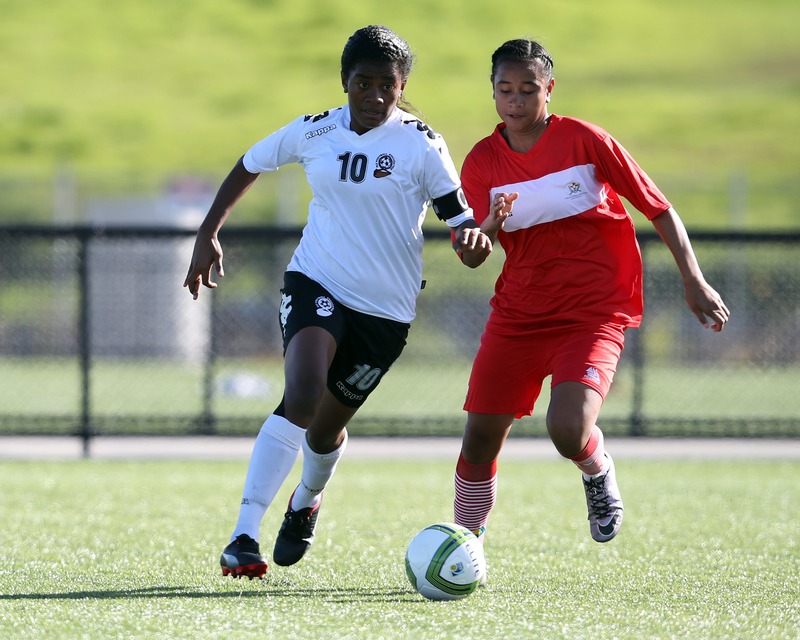 Fiji U-19 women’s team is prepared to take on the current champions, New Zealand in their second match at the OFC U-19 Women’s Championship on Friday 14th July at Ngahue Reserve in Auckland, New Zealand.